My recent trip to Berlin was like postwar heaven, though the state of the city at the time was anything but heavenly. I’d never heard of the Allied Museum until I found a reference to it in one of the guidebooks I dragged around. Not knowing what I’d find, I hopped on the U-bahn to Zehlendorf, a leafy district southwest of Berlin’s center. After World War II, when the Allies divided Berlin into 4 sectors, the American sector stretched from Zehlendorf to Neukölln in the east, where it hit the Soviet sector (and from 1961, the Berlin Wall). 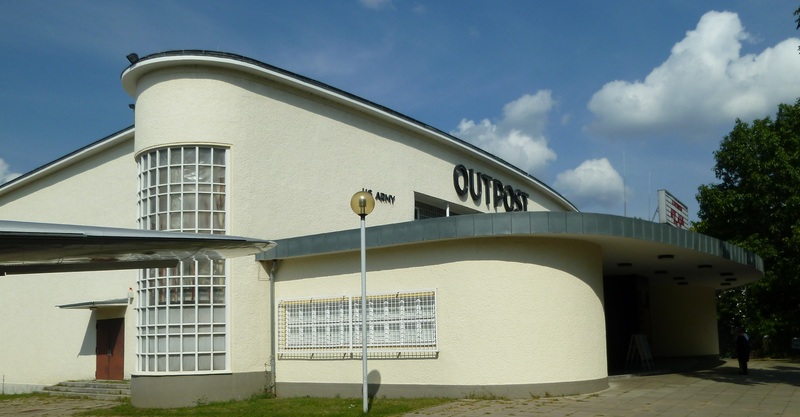 The American headquarters lay in Zehlendorf, so it was a natural place to install the Allied Museum. After Germany reunited, the Americans, British and French agreed to cooperate on the museum, and you see this in the collections. Start in the old Outpost, a wonderfully curvy 1950s movie theater that holds the permanent exhibits. They focus on the first postwar years and the Berlin Airlift. I love artifacts, and there was enough at the Outpost to keep me shooting photos till my camera’s battery went on strike. I got a close look at the contents of a CARE package. I hunkered down next to an old army jeep, amazed at the little details (I didn’t know there was a power plug in the back). I listened to broadcasts of the postwar German radio network RIAS. If you’re there on a Sunday, you can pay a euro and climb into a Hastings TG503, a plane used in the Airlift donated to the museum by the British. 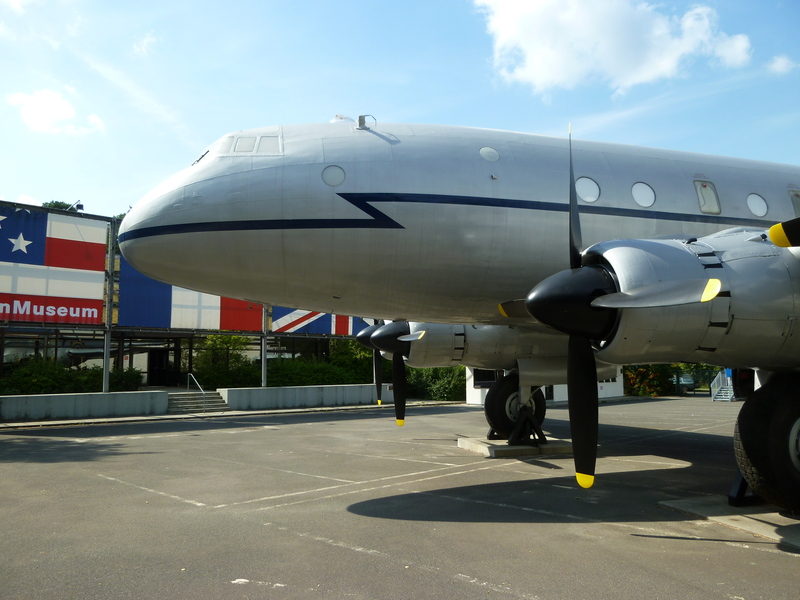 With 6.8 tons, it had the biggest transport capacity of any plane in the Royal Air Force. Unfortunately, I wasn’t at the museum on a Sunday and didn’t get to see the interior. Opposite the Outpost and on the far side of the plane is the Nicholson Memorial Library, which houses the second part of the permanent exhibitions and rotating exhibits. If you’re interested in the spy tunnel built in the 1950s that was like a wiretap on the Russians (I am! ), a life size model is in this part of the museum. The exhibits take you through allied life all the way up to 1994. The non-permanent exhibit about how American music helped transform postwar Germany was excellent (I’ll do a post on this). All in all, a museum to visit if you love this era. Clayallee 135, open Tuesday to Sunday 10-18:00. And get this. It’s free.